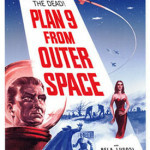 For a long time, if you said, “Worst movie ever made?” any respectable film geek would reply, “Plan 9 from Outer Space.” Well, years of shot-on-video crap and Uwe Boll films have taken away that easy, go-to answer, but make no mistake, Plan 9 is indeed a bad film. So bad it’s good? Yes and no — there are definitely parts where the badness transmutes to pure comedy gold, but there are long, interminable stretches of pain between those parts. 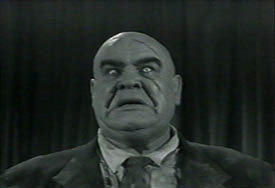 I will say Tor Johnson made a good zombie, though. The overall verdict on this one is: ridiculous — but worth seeing for historical value and a few laughs. Up next is the 1990 Tom Savini remake of Night of the Living Dead. Should help wash the taste of this out of our mouths.